I wrote this column on Sunday afternoon, but then I watched football. And wow – what a win for the Patriots!! Our family is extremely superstitious about sports, and Sam decided that I could not leave my position on the couch until after the game was over – no matter how urgently I needed to use the bathroom. I would not want to personally be responsible for the Patriots losing, so of course I did not move. I’m expecting that thank you call from Tom Brady any moment now. Today is Martin Luther King Day and many people have the day off. I know it’s awfully, bitterly, arctic-ally cold, and there’s some lingering ice on driveways and in parking lots, but if you do have the time, I highly recommend attending the West Hartford’s annual Martin Luther King Day program. This is the 23rd year for the town-wide celebration of the life of Dr. King, and it’s always a wonderful ceremony that includes music provided by students from schools throughout town as well as a keynote address. In addition two students – one each from Conard and Hall – are chosen as speakers. I’ve covered this event for many years, and am always incredibly impressed by the poise and impassioned words of the students. Look for my story about the event later today. Sam returns to UConn today for his junior spring semester. We’ve really enjoyed having him home for the past month and while I won’t have to go to the grocery store anywhere near as often to buy eggs by the 18-pack, it’s going to be very quiet around here and we will really miss him! I successfully managed to stay inside all day Sunday (thanks to Ted and Sam for clearing the snow and ice from our driveway and sidewalk), but I did manage to take some pretty cool photos of the sunset – from the window. 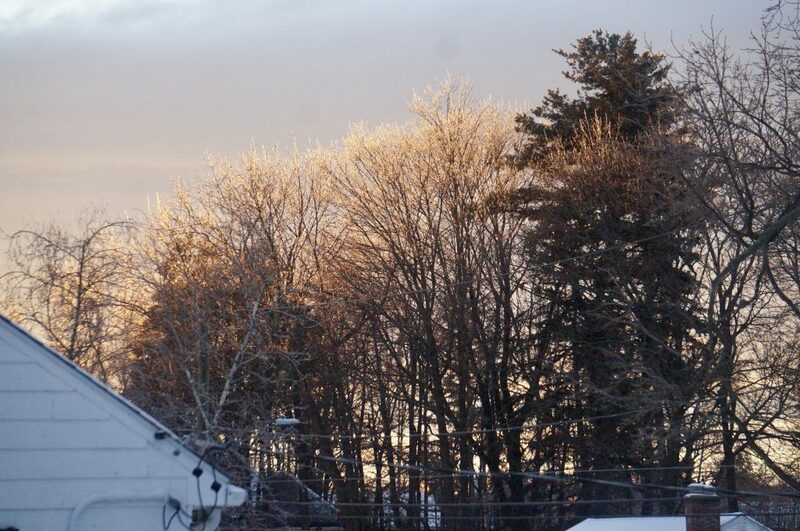 Although I’m not a fan of winter, I will admit that the sun setting and glowing through the icy branches of the trees was quite beautiful. The blood red wolf super moon was supposed to be visible Sunday night, but I couldn’t see that from any of the windows. The space formerly occupied by Chengdu at 179 Park Rd. will soon be occupied by Mr. Chow Asian Fusion. The plans to open Mr. Chow Asian Fusion have been in the works since Chengdu closed in September, said West Hartford resident Hecheng Chen, who also owns Ichiro Hibachi and Icy Rolls in West Hartford, the Bonchon franchise in Storrs, and Wayback Burger in Granby. “It’s still early in the process,” Chen said of plans for Mr. Chow Asian Fusion. 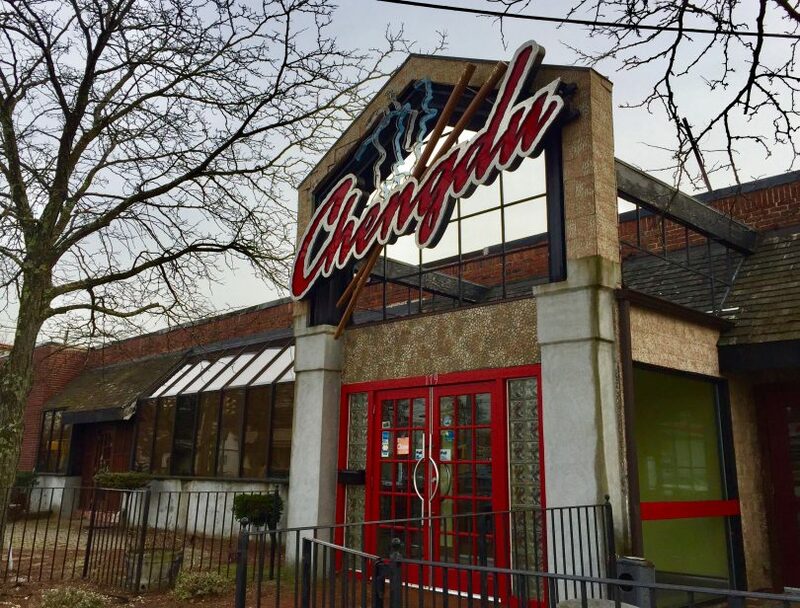 Demolition work has been completed, but Chen thinks it will take at least four months to do the build-out for the new restaurant, which he said will be a fine dining establishment with a full bar. Chen also told me that before Mr. Chow Asian Fusion opens, he will be opening another restaurant right down the street, just over the Hartford line. Chosen 1, a Cajun seafood restaurant, will open in the next few weeks in the former O’Porto space at 2074 Park St.
Ignite Fitness should be ready to open any day at 135 South Main St., in one of the former Revival Home Furnishing spaces. Ignite Fitness is a full service personal training facility, where clients can have scheduled appointments, but also can use the state-of-the-art fitness facility any time during open hours, or as prescribed by their fitness coach. To read more about the personal training facility and the approach of owner Kim Zengerle, click here. You can also follow Ignite Fitness West Hartford on Facebook. Build-out has started a few doors down at 135 South Main St., and the area’s newest Physical Therapy and Sports Medicine (PTSMC) clinic that will be run by managing partner and West Hartford resident Tom Kassan, should be ready to open this spring. PTSMC actually has its administrative offices in West Hartford, but this will be its first clinic in town. Kassan said previously that he is very excited about the opportunity to collaborate with Ignite Fitness and adding to the “health and wellness” opportunities on that corner. “I bring a style to physical therapy that’s focused more on function, reaching your goals,” Kassan said. People often think of physical therapy as something you do post-surgery, or to recover from a major injury, but PTSMC’s company tagline is “PT for life” and Kassan said that’s absolutely the corporate culture. Food Rescue volunteer Michelle Hall of West Hartford pictured with TSA officer Mike as she delivers food to Bradley Airport. Courtesy of Food Rescue. One of my favorite things about being a journalist is making a difference in the community – and it’s especially gratifying when a story helps out a nonprofit organization either financially or by raising awareness. I think it’s even better it happens with an intern’s story! A few weeks ago, Ryley McGinnis, who was one of We-Ha.com’s awesome interns last summer, returned to write a story about Food Rescue. 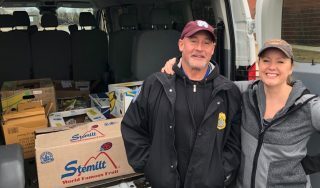 She told me that she learned this weekend that not only have the organizers gotten seven new volunteers since her story was published, but also that Food Rescue has started delivering supplies to TSA workers at Bradley Airport who are working without pay during the government shutdown. This photo is of Mike, a TSA officer, with Food Rescue volunteer Michelle Hall of West Hartford. To read the story about Food Rescue, click here. Here’s another positive local story about helping out furloughed workers or those working without pay. Restaurateur Tyler Anderson posted this message on Facebook on Sunday: “All of our restaurants are now allowing furloughed government workers to start house accounts. There is no reason that they should have to sacrifice, because our leadership can’t get their [act] together. For more details and to get the form to sign up go to the “govt shutdown” tab on any of our restaurants websites: www.millwrightsrestaurant.com, www.thecookandthebear.com, or www.porronandpina.com. Luna Pizza is also offering a house account option. “Let us know if you’re a federal government employee on furlough or working without pay, and we’ll start a house account so you can still order now, and then pay us back later. Delivery, takeout, or dining room – let us know what works best for you. Thank you for your public service!” Luna posted on their Facebook page on Sunday. 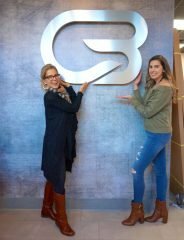 CycleBar will be celebrating its grand opening next weekend at 55 Memorial Rd. in Blue Back Square with free rides, raffles, and giveaways from Jan. 25-27. I tested out the studio on the first day it was open, and had a great workout – and was very happy to finish in the top half of the class even though I struggled to get my feet clipped into the pedals and stopped pedaling to help my neighbor adjust her seat. I will definitely be back! Click here for their website to register for the grand opening rides. And to read more about CycleBar, click here for the complete story about West Hartford’s newest fitness option! Wagging Tails posted a message on Facebook last week that they would be opening very soon at 635 New Park Ave. in West Hartford. Owner Krista Lofquist said that the target date is the first week of February. Her message was: “Plan your next vacation and know that your pup will be in excellent care at Wagging Tails Pet Resort & Spaw. Enroll your pooch in our fun, enriching, safe, unique and professional doggie daycare program, boarding, cage free boarding too, grooming, training, massage therapy and transpawtation services to and from! Also, open to the public, with membership, CT’s first and only, Indoor Dog Paw-k will be at this location! A pawfect place for you AND your dog to socialize, play and have fun! For your convenience, all services are open 7 days a week!” For more information, visit the website www.waggingtails.com or call 860-621-PETS (7387). Congratulations to West Hartford resident Carl Lantz, a realtor with RE/MAX Premier in West Hartford, who has been elected as the 2019 Region 3 Vice President for the Connecticut REALTORS (CTR) effective Jan. 1. 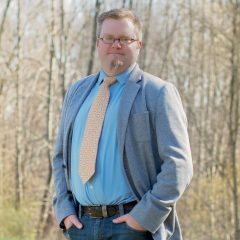 According to a news release, Lantz has been an active member of both CTR and the Greater Hartford Association of REALTORS (GHAR) since 2007, is a CTR director and serves on the Executive and Communications Committees. He sits on the National Association of REALTORS Consumer Communications Committee. Locally, Lantz served as 2017 President of GHAR and also serves on its Board of Directors. He is a recipient of the “5 Star Agent Award” from Connecticut Magazine. Lantz is active in town sports, PTO, ski patrol at Ski Sundown, and involved with various charitable organizations in the community. Congrats also to Town Council member Mary Fay, who has been appointed as the inaugural executive director of the Connecticut Retirement Security Authority, an organization that will offer IRA savings accounts to private sectors employees who otherwise don’t have workplace retirement plans. For more about the organization and Fay’s position, see the article by Matt Pilon in the Hartford Business Journal. Congratulations to Linda Andrew, who has has been promoted to portfolio manager at YHB Investment Advisors, Inc., an independent investment advisory firm located in West Hartford Center. She joined YHB in 2016 as an assistant portfolio manager and has extensive experience in investments and accounting having worked for professional service, corporate and nonprofit organizations. 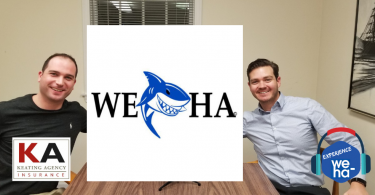 Andrew recently passed the FINRA Series 65 exam and is a Registered Investment Advisor Representative in the state of Connecticut. 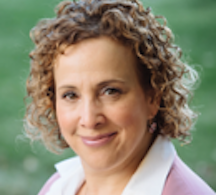 ICYMI – and you don’t want to miss it – Mayor Shari Cantor will deliver her State of the Town Address on Thursday at the Delamar West Hartford Hotel on Thursday. The annual event is hosted by the West Hartford Chamber of Commerce. Click here for details.